Education is one of life’s main keys to success. Said education has it’s foundation in both primary and secondary education. Today, many of our nation’s greatest leaders in PK-12 education hail from Minority Serving Institutions (MSIs). Their day-to-day leadership helps foster growth of the world’s future leaders. As such, today’s MSI Monday Morning Line Up highlights 6 superintendents from MSIs. Dr. Lewis Ferebee, current superintendent of Indianapolis Public Schools (IPS), is a proud graduate of North Carolina Central University (NCCU). Prior to Dr. Ferebee’s beginnings at IPS in 2013, he served in the school system for 13 years and Regional Superintendent for Guilford County Schools in North Carolina. Dr. Ferebee earned his bachelor’s degree in Elementary Education from NCCU, a master’s degree in School Administration from The George Washington University, and Doctorate in Educational Leadership from East Carolina University. Learn more about Dr. Ferebee’s work with Indianapolis Public Schools here. Dr. Carvalho currently serves as Superintendent of Miami-Dade County Public Schools. Dr. Carvalho’s years of dedicated work has won him multiple honorary doctoral degrees by MSIs. Mr. Carvalho has been awarded many honorary degrees including a Doctor of Public Service by Florida International University (HSI); Doctor of Humane Letters by both Barry University (HSI) and Florida Memorial University H; and a Doctor of Pedagogy, Honoris Causa from Nova Southeastern University. He has been honored by the President of Portugal with the “Ordem de Mérito Civil” and by Mexico with the “Othli Award”. Dr. Verletta White, current interim superintendent of Baltimore County Public Schools, is a current doctoral candidate in urban educational leadership at Morgan State University. Prior to this position, Dr. White served as chief academic officer for BCPS, the instructional leader responsible for defining and communicating the vision of the school system while motivating a division of more than 500 curriculum and student support staff. Learn more about Dr. White and her work with Baltimore Country Public Schools here. Jeff Eakins, currently serves as Superintendent of Hillsborough County Public Schools (in Tampa, FL). Eakins received his Bachelor of Science in Education from Ohio State University and a Master of Science in Educational Leadership from Nova Southeastern University (HSI). Mr. Eakins began his education career in 1987 as a fifth grade teacher in Columbus Ohio, and later became principal before this opportunity. Throughout the years, he has always been an “advocate for children, seeking to provide support systems and educational programming that enable children to achieve a promising future.” Learn more about Mr. Jeff Eakins and his work with Hillsborough County Public Schools here. Dr. Kevin Maxwell currently serves as acting CEO of Prince George’s County Public Schools in Prince George’s County, Maryland. Dr. Maxwell began his career nearly 40 years ago as a teacher at Crossland High School throughout his career, Dr. Maxwell has focused on raising student achievement, increasing student participation in rigorous coursework and engaging state, county and local stakeholders. Dr. Maxwell has won many awards for his work including: the 2014 Howard University Outstanding Commitment and Service to Community Award; the 2016 Ethics Project’s Ambassador Andrew Young Award; and the 2016 Prince George’s Community College Foundation Partners for Success Award. He earned bachelor’s and master’s degrees from the University of Maryland and holds a Ph.D. in Language, Literacy and Culture from University of Maryland Baltimore County (AANAPISI). Learn more about Dr. Maxwell and his work with PG County Public Schools here. Dr. Freddrick Murray currently serves as interim superintendent of Jackson Public Schools in Jackson, Mississippi. Dr. Murray has served over 20 years in the education and has a plethora of administrative leadership experience. One of his most noted accomplishments is leading Murrah High School (local Jackson, MS public high school) achieve a placement among the top 500 schools nationwide on U.S. News and World Reports List of Top High Schools in America. Dr. Murray is a 3 time HBCU graduate, earning a Bachelor of Science degree in Elementary Education, a Master of Science degree in Educational Administration, and a Doctor of Philosophy degree in Educational Leadership and Supervision all from Jackson State University (HBCU). Learn more about Dr. Freddrick Murray and his work with Jackson Public Schools here. Know of other public school superintendents from MSIs celebrations? Share them in the comments below! Cesár Chávez is one of the most dynamic organizers in the fight for better working conditions for farmers throughout the United States. His organization, the National Farm Workers Association (now called the United Farm Workers), played a key role in improving these conditions through legislation, union contracts, and a host of other efforts. While Chavez supported individuals of all colors and creeds, growing up in a Mexican-American farming community informed his knowledge about this community of farmers specifically. As such, multiple Hispanic Serving Institutions (HSIs) around the country celebrate Cesár Chávez Day on March 31st to commemorate his work. Therefore, today’s MSI Monday Morning Line Up highlights 5 HSIs that celebrate this momentous holiday in honor of this great leader. The University of Texas El Paso (UTEP) hosts an annual César Chávez celebration in conjunction with the Inter-University Program for Latino Research. This week long celebration includes clothing drives, musical performances, documentary screenings, plays, and much more! One of the most dynamic events, however, is the “Annual El Paso César Chávez Marcha.” Learn more about UTEP’s César Chávez celebration here! Citrus College celebrates the life of César Chávez by giving back. CC students, faculty, and community members participate in the National Chavez Blood Drive Challenge alongside other schools and colleges in the area. Learn more about Citrus College’s blood drive here. This year will be the 22nd year of Fresno State’s annual César Chávez Garlanding Ceremony and Celebration. This three celebration often includes scholars and activists who have a special connection to Chávez’s United Farm Workers organization. Fresno Sate has played a significant role in leading the Filipino community in partnering with Chavez and the United Farm Workers. Learn more about Fresno State’s history of events here. 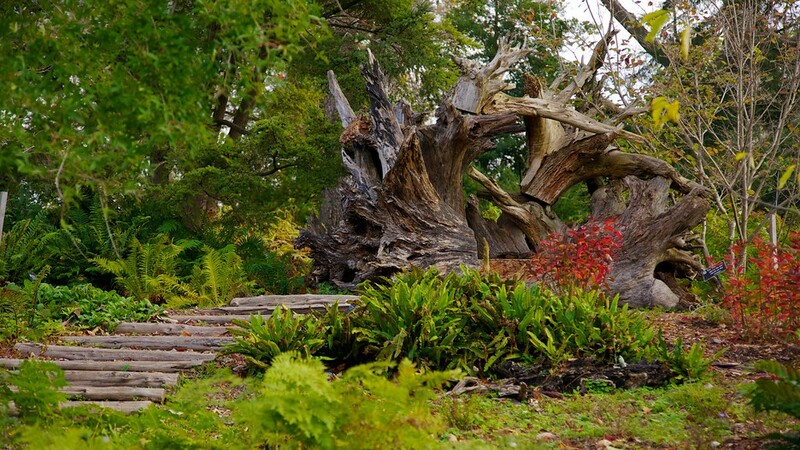 UC Santa Cruz has a very unique connection to César Chávez as Chávez stepped foot on this campus in May 1973 for a campus rally. During this rally, Chávez and other United Farm Worker leaders spoke on the current struggles in the movement and thanks all who had helped with the campaign (news.ucsc.edu). As such, UC Santa Cruz hosts an annual convocation In remembrance of Chávez’s work. In recent years, the convocationhas shifted from its usual keynote speaker format “to an interactive panel discussion focusing on organizing and how to bridge diverse social movements” (news.ucsc.edu). Learn more about the history of César Chávez at UC Santa Cruz here! University of New Mexico’s (UNM) College Assistance Migrant Program (CAMP) hosts a “Farmworker Awareness Week” week commemorating César Chávez. CAMP is a “federally funded program established to identify, recruit, admit, and enroll students from migrant and seasonal farm working backgrounds in higher education. CAMP provides students with academic, social, and financial support to enable the completion of their first year of college” (sust.unm.edu). In recent years, Farmworker Awareness Week events include, celebrating women farmworkers, blood drives, agricultural advocate speakers, and much more. CAMP collaborates with multiple campus and community organizations including the Recuerda a César Chávez Committee, the UNM Graduate Resource Center (GRC), Project of New Mexico Graduates of Color (PNMGC), La Plazita Institute, Albuquerque Food Corps, and many more! Learn more about the College Assistance Migrant Program’s Farmworker Awareness Week here! Know of other César Chávez celebrations? Share them in the comments below! Law schools play an important part in preparing future lawyers, judges, and public officials. Over the years, law schools have become more and more rigorous with a low average acceptance rate. Although the more elite institutions have lower acceptance rates, they come with benefits. Graduates from elite law institutions have higher-paying and more-esteemed jobs. This week’s MSI Line Up highlights some of the top law schools at Minority Serving Institutions. The University of Southern California School of Law (Gould) has more to offer students than a great location and splendid weather. For over 115 years, Gould has offered students an institution of reputable excellence and diverse alumni. Today, the school is known as one of the nation’s most diverse law school. 40% of their students identify as people color, 12% as first generation, and 10% as economically disadvantaged. The median GPA of the 2017 class is a 3.78 and a median LSAT of 165. Additionally, Gould offers a median scholarship award of about $31,000. Click here to learn more. Located in the heart of the nation’s fourth-largest city, Houston, TX, you can find the University of Houston Law Center (UHLC). The Law Center has been known for its “best-value” reputation, consistently producing programs ranked in the top 10 by the U.S News & World Report, and placements rates of graduates in top law firms. Interestingly, about 40% of student in 2017 entering class identity as people of color. UHLC graduates also have a bar pass rate of approximately 86%, ten points higher than the Texas average. Read more on the University of Houston Law Center here. The University of California, Irvine (UCI) is a special place. First, students at the University of California, Irvine Law school have the opportunity to visit beaches, explore parks, and embrace the nearly perfect weather. Second, UCI’s commitment to teaching has led to a student-faculty ratio of 10 to 1, in addition to, having faculty ranked 7th in the nation for scholarly impact. Third, among the fall 2017 class, 48% of the student identified as low-income. Lastly, the application process is free! No fee waiver is necessary. Learn more about UCI Law here. As the epicenter of the nation’s legal institutions, D.C. is the ideal location for the study of law. Washington, D.C. is home to federal agencies, public interest groups, private law firms, and corporations. In addition to the unique opportunity to observe the cities law-making process, students at Howard University School of Law benefit from other perks. The School of Law offers an exchange program at three law institutions allowing students to pursue courses in areas of studies not offered within their home university. Howard also offers prospective students the option to apply for a J.D/M.B.A. Read more about Howard University, School of Law here. The University of Hawaii at Manoa School of law (Richardson) is located in Honolulu. Richardson School of Law is a multicultural community committed to serving all students regardless of their academic background. This institution is currently offering a tuition freeze through 2020. Residents of the area can expect to pay less than $25,000 a year. The University of Hawaii at Manoa School of law offers several dual degree programs such as J.D/M.B. A, J.D./Ph.D., and J.D./M.A. According to the entering class profile, students with a GPA of 2.94 and LSAT score of 151 were found in the 25th percentile of the 2017 incoming class. Read more about the law school at the University of Manoa here. University of Maryland School of Law (Carey) has been around since 1813. Over the last 200 years, UM Carey has delivered outstanding law content in both the clinical and classroom settings. UM Carey offers three main degree program options: Juris Doctor, Master of Laws, and Master of Science in Law. Applicants can choose to attend full-time or part-time. The median LSAT score is 157 and undergraduate GPA is 3.51. Read more about University of Maryland here. Florida International University is the home of the only public law school in southern Florida. Established in early 2001, FIU College of Law has been determined to become a premier institution. According to U.S News & World Report, College of Law is ranked top 100 law in the nation. Regionally its ranked top 3 in job placement and quality of incoming students. It is also ranked first in first-time bar passing rate since 2015. Learn more here. Do you know any other elite MSI Law Schools? comments below! With spring breaks happening across the nation, college students are looking for a place to relax and rejuvenate. Luckily for these Minority-Serving Institutions, they are conveniently located near some of the top tourist spots. Only a 10-minute drive to Santa Fe National Forest, Santa Fe Community College has the perfect camping getaways. The campus is less than an hour away from two prime hiking terrains, Los Alamos and Valles Caldera. Valles Caldera also houses one of three of the United States’ Super Volcanoes. Located in downtown Miami, Miami Dade students take advantage of the beach year-round, including peak season. Only a few blocks away, Miami Beach is one of the top 10 lists of spring break destinations for most college students. Calling all football fans! 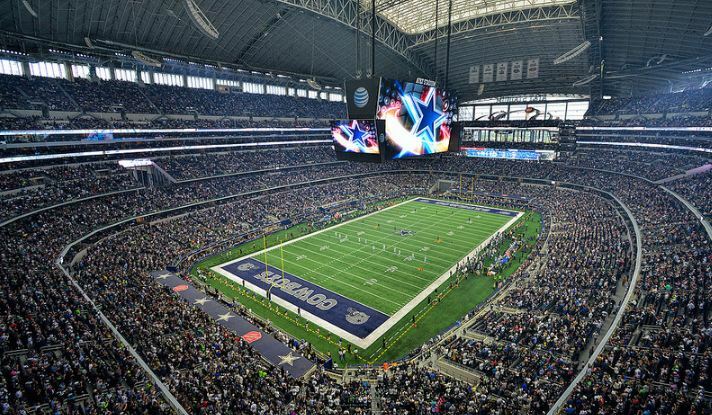 The AT&T Stadium in Arlington, TX is only a 30-minute drive from Paul Quinn College. Whether you’re a die-hard football fan or an occasional spectator, the close proximity of the stadium entices students to take a break from studying and enjoy one of many games during football season. Beale Street, comprised of much history and culture, is iconic in Memphis nightlife. Home to the blues music genre, the restaurants, and museums on the street are inspired by the brassy tones and soulful emotions. Beale Street is walking distance from Le Moyne Owen College. Although it is two hours from Virginia Union University, the Massanutten Resort is a getaway with something for everyone. The resort includes a waterpark, a golf course, and ski lifts. For most college students, this resort could potentially be the perfect escape during spring break. If you could visit any of these 6 vacation spots for the weekend, where would you go? Let us know in the comment below!